Due to state required mandates for Child Support, effective June 1, 2017 any individual coming into the Child Support Agency is required to show proper identification. You must have either a Driver's License or a State ID card. 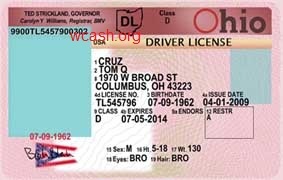 If you do not have either you can obtain a State ID card through the BMV (Bureau of Motor Vehicles) at a price of $8.50. Help a child in your community by becoming a foster parent. Please contact us for more information or questions you may have.